Being president is a stressful job and as you can see, it can have a real impact on aging the President prematurely. 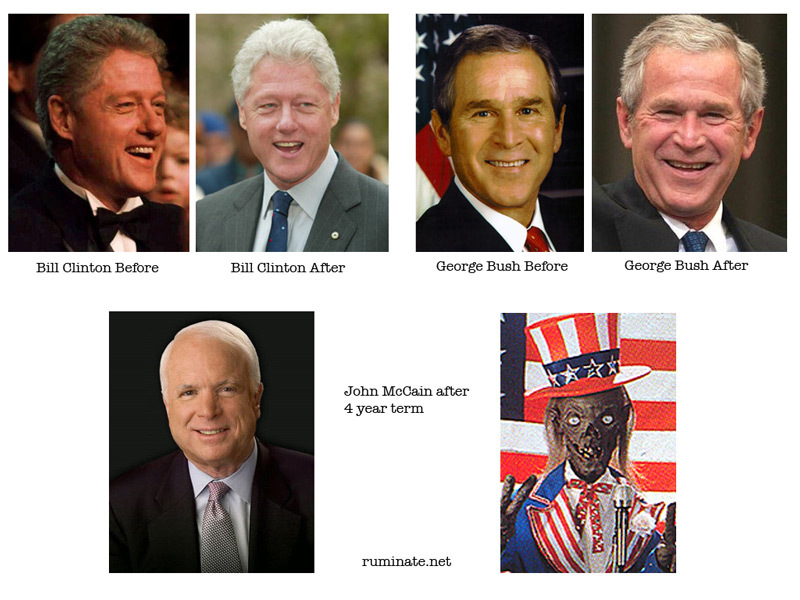 Maybe Obamba may turn into Morgan Freeman, but what will McCain turn into? This is a Flickr badge showing public photos from pdm tagged with badge. Make your own badge here.